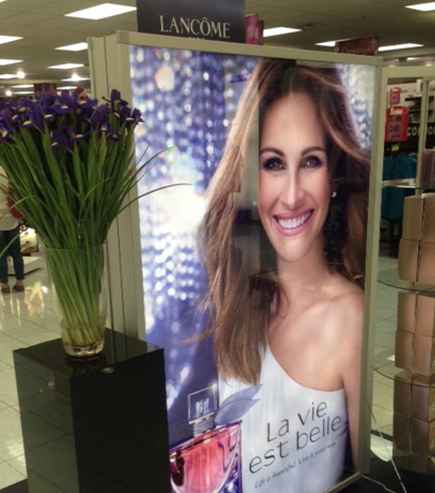 Lightbox display solutions for commercial use. 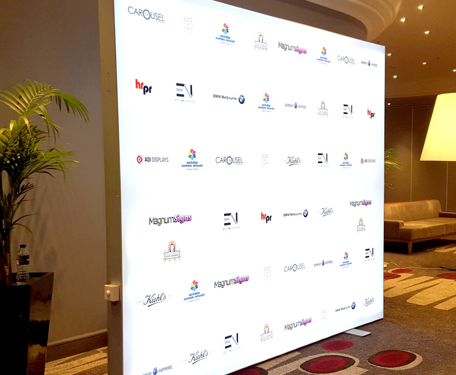 Not only do we offer one of the best Lightbox hardware solutions available on the NZ market, but we also print both fabric and backlit film graphics for use in a broad range of lightbox display solutions. Talk to us if you need to re-skin an existing solution or if you’re looking for a complete new solution. 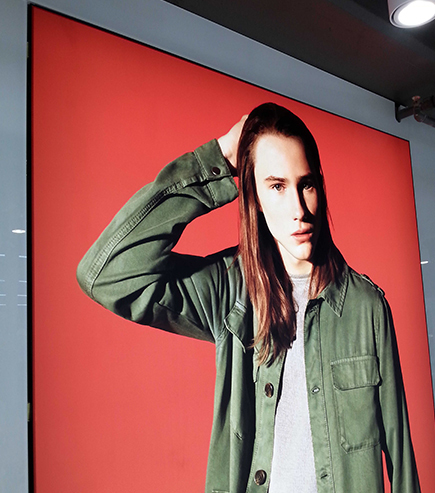 Producing prints suitable for lightboxes on a backlit film is a specialist area, that involves custom profiling to ensure the image is not washed out when installed with fluorescent tubes behind the backlit image. At Colourbox, we’re experts in getting the optimum clarity and vibrancy of image. Too often we see circumstances where these have been produced using dye inks instead of pigment or solvent based inks and depth of colour is not achieved, fading starts within just a few months and severe posterising of the image occurs. 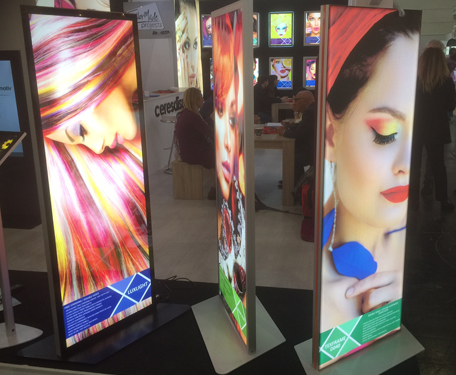 If you have an existing Lightbox that takes backlit film graphics but wish to change to a fabric solution, then talk to us about our retro fit fabric framing solutions. These simply fit into your existing display frame, enabling the use of machine washable fabric skins. to bring their visions to life on fabric. A huge THANK YOU for your amazing commitment in providing our signage for the season! I truly appreciate the fantastic teams I am surrounded by to make our game night presentation the best it can be. For over 50 years, Top Shop has been a well know brand, a style setter and star of many girls wardrobes. The famous Oxford Circus branch, is a flagship store for cool girls, whether they’re holidaying in London or living in the capital. 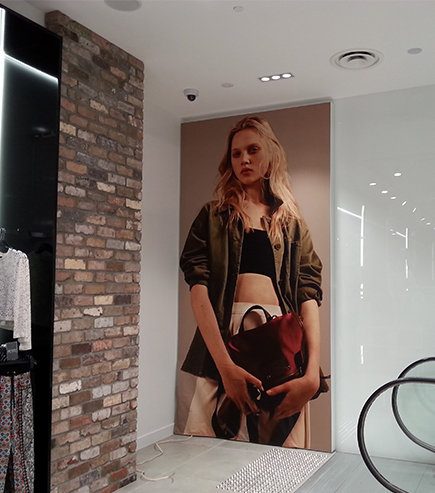 So when Top Shop announced they were coming to NZ there was no better place to create their store than Queen Street. The store in Queen Street was to replicate the Oxford Circus branch. They needed it be hip and trendy and be able to show off their clothing with in-store graphics that grabbed attention and inspired sales. They needed to be able to transform the look and feel of the store from one season to another, quickly and cost effectively. And the graphics needed to be perfect, just like their clothes. 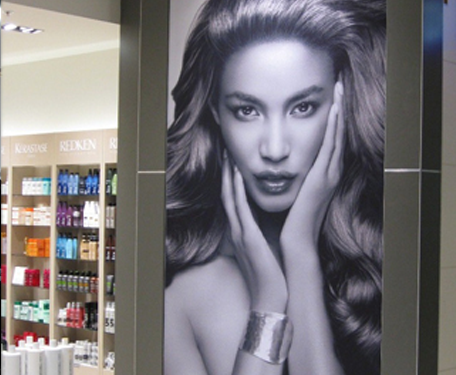 The solution was to create a number of huge in-store lightbox displays. These were custom made and were placed all around the store. 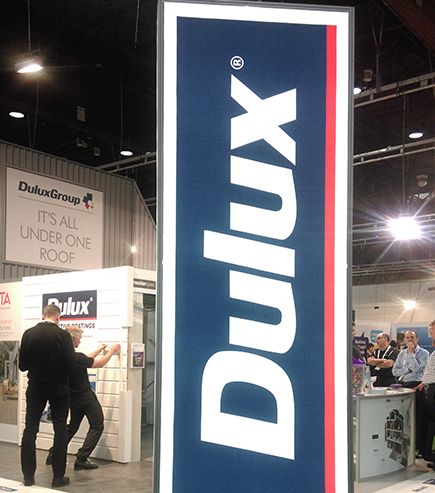 Some of the displays were of normal size which consist of – 1400 x 2400 as well as 1m x 1m panels. 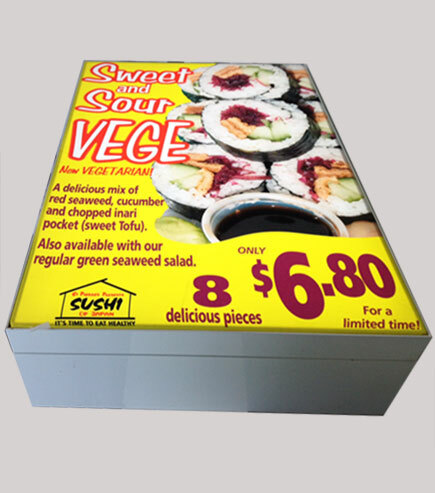 The lightbox displays are cost effective and the images can be changed out regularly with the seasons. 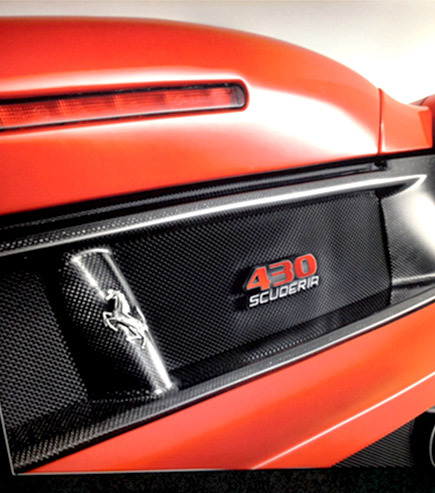 The change of image is easy to do and can be installed by their own staff keeping costs down but enabling the graphics to make maximum impact.